The students of class 5 enjoyed their Educational Trip to Vidhana Soudha today. Vidhana Soudha in Bengaluru, the magnificent white building, Karnataka Legislative Assembly is the State Assembly where proceedings by the MLAs and MLCs take place. Vidhana Soudha houses the legislature and the Secretariat of the state of Karnataka. It is the largest state legislative building in the country & One of the most famous landmarks of Bangalore Students got the brief information about the history and structure of the building. They were privileged to witness the corridors of power function and working of our government. Students were taken inside the main Assembly Hall of Vidhana Soudha and were explained about the Proceedings, Ministers, Legislators, the Opposition leaders, speakers, News editors and much more towards a better Karnataka. The idea of educational tours is built around the practice of experimental learning. An educational tour away from the comfort of school and home fosters independence, leadership skills, and communication skills. 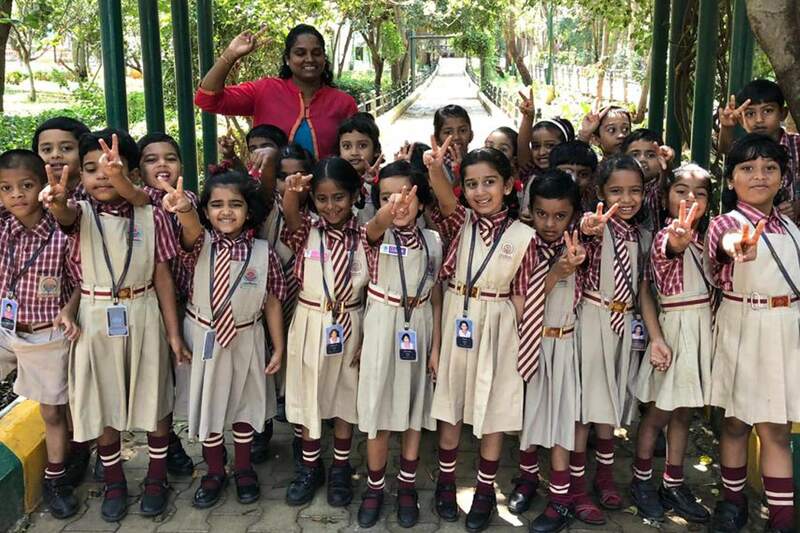 Students of class 1 & 2 experienced the Fun filled Educational trip to Jai Prakash Narayan Park which is shortly named as JP Park.. Children enjoyed the play area, lake, bamboo and rock garden, musical fountain, animal & human statue which represents the previous lifestyle of human, and many more. Students learned the benefits of an educational tour that it subtly develops an understanding of various social issues around the world. Students got a better grip on the local and the global issues.